New Zealand Offshore FSPs are the result of a regulatory loophole that has created a running sore of fraud and money laundering, tainting New Zealand’s reputation. Here are pages and pages, four years worth of coverage, from the tenacious New Zealand journalist Gareth Vaughan. In this post, we will take a walk through one well-documented case that exemplifies the New Zealand Offshore FSP horror, and the reputation risk for New Zealand, and then draw readers’ attention to a related but much bigger international offshore scandal, breaking this coming week, “Panamapapers”. 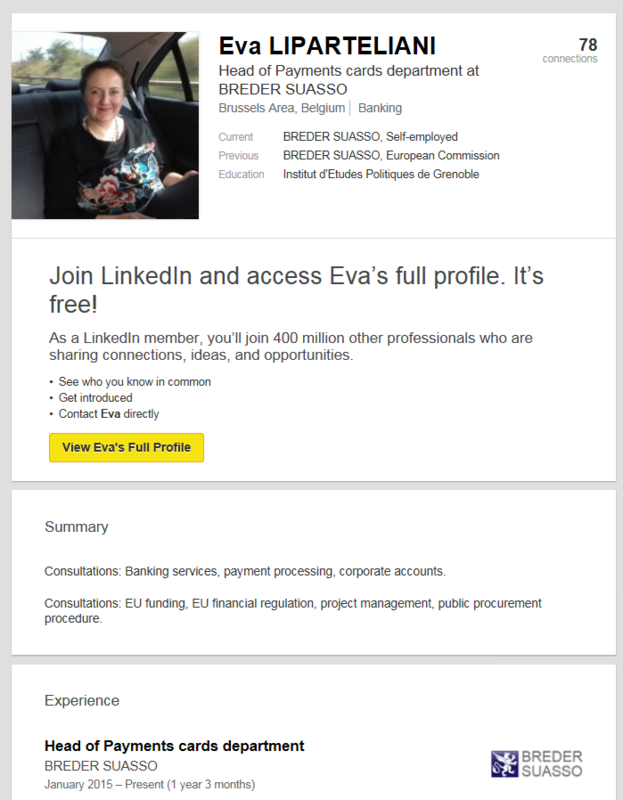 Grace Haden, an independent standing for election in Epsom, raised concerns with the regulators about Breder Suasso, which is referred to on overseas websites as a New Zealand bank and as providing banking services, despite not being registered as one here. She pointed to a photo on the Auckland-based company’s website, since removed, which featured a plush reception with an oil painting on the wall. In fact the company has a poky office with room for only a single desk and a line of filing cabinets down one wall. Breder Suasso admitted the photo was faked for marketing purposes, a detail buried in fine print on the website. Substituting the more specific “tax authorities” for the generic “people” should tell you why that’s quite an aggressive marketing angle. FMA, just beginning to get its eye in to its new duties at that point, took a look and, judging by Breder Suasso’s continuing registration, were satisfied that nothing was wrong with any of this. A small office shared with three other companies deep in the bowels of the Outsource IT Tower on Auckland’s Khyber Pass Road opposite a reservoir isn’t necessarily where you’d expect to find the global headquarters of a financial service provider that claims to be following in the footsteps of three outstanding men from the Dutch golden age. But this is where you will find what, according to its website, is Breder Suasso’s head office. When interest.co.nz visited recently the office was unattended. Services listed include private accounts, corporate accounts, payment cards and advisory, although the advisory section appears to have been removed from the company’s website over recent days. Breder Suasso’s website says it doesn’t provide services to NZ or US residents, with the latter now having to comply with the intrusive Foreign Account Tax Compliance Act, or FATCA. Other comments in Breder Suasso’s NZ trusts brochure focus on property, and obtaining NZ residency. 18 months later, there’s been an office move from the embarrassing reservoir-side location, to another serviced office address shared with dozens of other companies, for all the good that will do to the look. The business proposition has changed a lot more, too. Right now, Breder Suasso just offers bank account opening services and payment cards. The trust and company formation services, the other account opening services and the property acquisition services have all gone, along with the boast about bankrupts driving Ferraris. There’s no sign of Bre Bank any more either, whether under that name, or its more recent manifestation as MBank (it’s a Polish subsidiary of German giant Commerzbank). So where are the bank accounts? 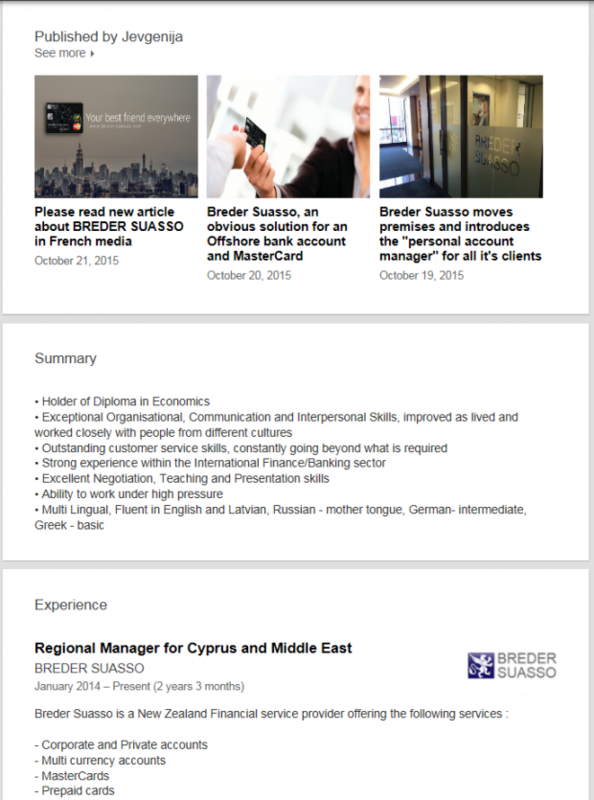 They can’t be in New Zealand: Breder Suasso has no New Zealand clients. The accounts must all be offshore. Up until a few weeks ago, Breder Suasso’s corporate account opening service stated that the related account opening agreement was subject to the law of the Marshall Islands. But the brochure has now vanished too. I’ve interviewed now more than 200 money mules, and it’s hard to escape the conclusion that many mules simply are not the sharpest crayons in the box. They often have trouble following simple instructions, and frequently screw up important details when it comes time to cash out (there are probably good reasons that a lot of these folks are unemployed). Common goofs include transposing digits in account and routing numbers, or failing to get to the bank to withdraw the cash shortly after the fraudulent transfer, giving the victim’s bank precious time to reverse the transaction. In isolated cases, the mules simply disappear with the money and stiff the cyber thieves. Those are personal prepaid cards. One imagines, though, that the problem is just as acute, if not more so, with corporate cards. Happily, Breder Suasso’s web site makes great play of its commitment to comply with “all legal obligations relating to Anti-Money Laundering and Countering Financing of Terrorism (AML/CFT) according to the New Zealand anti-Money Laundering and Countering Financing of Terrorism Act 2009 (the AML/CFT Act)”. Breder Suasso, the NZ registered but overseas operating financial service provider that featured in this interest.co.nz article last week, operates outside the territorial scope of this country’s anti-money laundering legislation, the Department of Internal Affairs has confirmed. 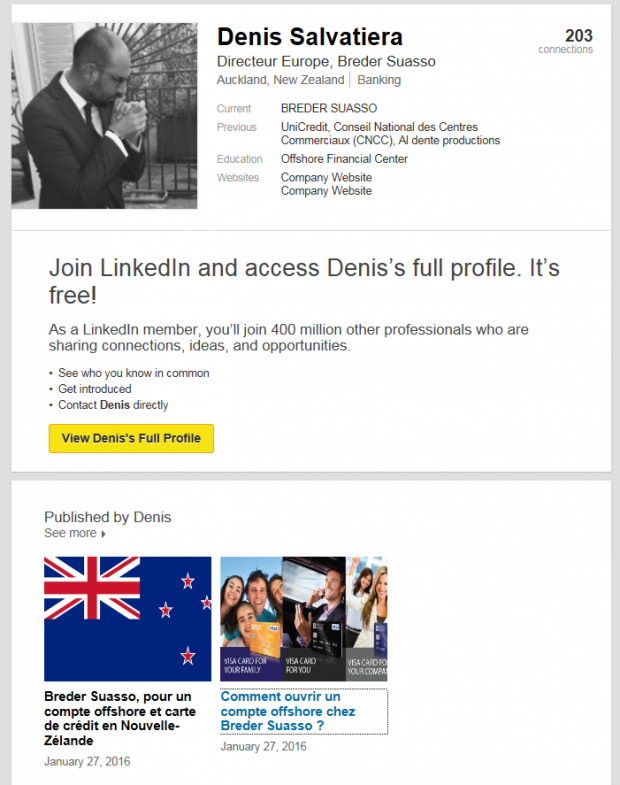 As noted in last week’s article, interest.co.nz had emailed a series of questions to Teodoro De Regibus, who Companies Office records list as Breder Suasso’s sole shareholder. A response to the questions, from Breder Suasso’s partnerships manager Benjamin Cohen on behalf of De Regibus, was received after last week’s story was published. The Department of Internal Affairs version of the story is, however, a little different. “In October 2014, the Department initiated a desk based review of Breder Suasso Limited’s AML/CFT programme documents. During this review, it was identified that the financial activities conducted by Breder Suasso Limited were not being carried on in New Zealand in the ordinary course of business. On this basis, Breder Suasso Limited’s activities were determined to be outside the territorial scope of the Act. In turn, it was determined that Breder Suasso Limited is not captured as an AML/CFT reporting entity in New Zealand,” the spokesman said. So there you have it. Breder Suasso is a registered New Zealand financial services provider, with an ever changing product offering, that doesn’t have to comply with NZ AML requirements (but would like you to think that it does), and currently offers no banking services to New Zealand clients, but does offer bank accounts and prepaid cards, somewhere on the planet, possibly via unidentified banks domiciled in the Marshall Islands and mBank in Poland, to unspecified non-New Zealand persons and business entities. That doesn’t look like a particularly transparent or salubrious business proposition. There are a few more pointers. First, there’s this Marshall Islands connection. The Marshall Islands are an interesting tax haven. Their currency is the US dollar, but they mainly crop up as a domicile of entities associated with the post-Soviet offshore finance system, usually alongside Latvia and Cyprus. Jevgenija’s mother tongue is, unsurprisingly, Russian, and she learnt her trade at Rietumu Banka, which, like many of Latvia’s oligarch-controlled boutique banks, has collected the occasional money laundering wristslap from Latvia’s financial regulator. Meanwhile Breder Suasso’s subsidiary in Georgia (the US state, not the Eurasian country) doesn’t seem to be doing anything much. For instance, it doesn’t seem to have a banking licence. Still, this is enough to make it look as if a lot of what Breder Suasso is doing is connected to offshore finance for Russians, not always the cleanest banking business in the world. Polish banks fell heavily on Thursday after deputies approved a bill allowing homeowners to convert their Swiss franc mortgages into zlotys, a move which could double the cost to lenders to $5 billion. Poland’s financial regulator called for an impact assessment on bank stability if the measure were passed into law. Public opinion is divided over state support for should support Swiss franc mortgage owners, who are mostly well paid professionals. Shares in Poland’s major banks most affected by the proposed changes recovered sharply after Kleina’s comments, but at 2:43 GMT were still down by between 6 and 19 percent. Shares in some of Poland’s biggest banks, which are mostly owned by foreign parents, plunged by as much as 24 percent at one stage. Getin Noble, the most exposed to Swiss franc mortgage risk, was still down by 19 percent at 2:47 GMT. The sector, which includes PKO, BZ WBK, mBank, Millennium, and BPH hold Swiss franc portfolios worth some 144 billion zlotys, or 8 percent of Poland’s gross domestic product (GDP). For the moment, mBank isn’t paying a dividend. Its debt is graded BBB- by Fitch, which is just between “good quality” and “speculative”. That’s not exactly great, for a bank, but not cataclysmic, either; not with Commerzbank backing up mBank. Perhaps, after Swissleaks, there’s demand in Francophone territory for something more secure than an HSBC account. From whom: diamond dealers? Dentists? Who knows. One conclusion involves less guess work: there’s damn all indication that Breder Suasso has anything much to do with New Zealand financial services. On the other hand, quite a lot that is nothing to do with New Zealand, and doesn’t look all that great, is hanging off that FSP registration. The least good-looking thing is the resonantly-named Teodoro de Regibus, 100% shareholder of Breder Suasso Limited of New Zealand. Vaughan observes that de Regibus, a resident of Hitchin, UK, according to the New Zealand info on Breder Suasso, appears also to live in Mauritius, where he operates a licensed corporate services firm: Titan Corporate Services Ltd. He’s also the sole director of a UK Breder company. Panamaleaks ties three of this blogger’s eccentric long running obsessions, New Zealand FSPs, New Zealand Foreign Trusts, and Mossack Fonseca (especially here and here), into one huge stinky mess. Investigators from the USA and other states have obtained the firm’s internal documents. Other countries are interested. German tax investigators have bought data relevant to Germany. On the basis of the documents, they are now carrying out raids. The various groups of officials are operating with selections of firm’s records. Süddeutsche Zeitung has all of the data in the internal Mossack Fonseca documents at its disposal, more than 80 Gigabytes. Full evaluiation of the data is nowhere near complete. Thousands of shell companies, registered in the Seychelles, the Bahamas, the British Virgin Islands or in Panama, built by Mossack Fonseca Group, ordered and paid for by Banks, wealth managers and lawyers from dozens of countries, can be found in the secret data on the USB sticks. Clearly, Mossack Fonseca has a problem. It’s a spectacular disaster. 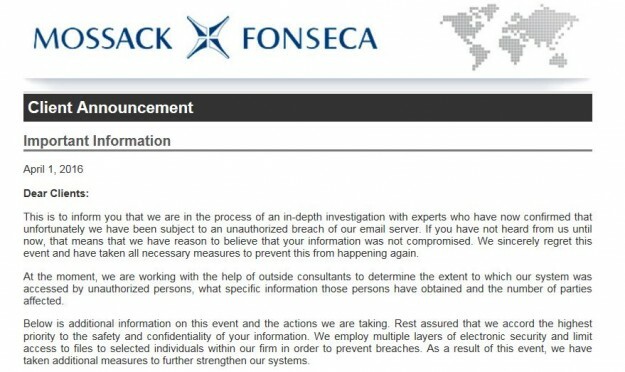 If, like Mossack Fonseca, your entire business model is predicated on secrecy and deniablity, a massive data leak, including gigabytes of emails, is the one thing that could kill you stone dead. 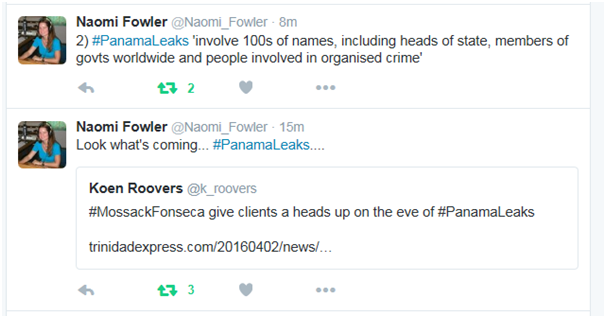 Mossack Fonseca are likely to find out if it’s that bad in the coming months. HSBC and other banks, such as Credit Suisse and Commerzbank (summarizing the German: big tax investigation sparked by the Mossack Fonseca leak), will also have a problem. For it just so happens that one of the authors of the SZ piece, Bastian Obermayer, is with the ICIJ. This Panama story looks like a natural for one of their leaks series. In fact the current ICIJ “Swiss Leaks” series, featuring HSBC, was the main reason why its execs were suddenly hauled in front of the Treasury Select Committee. Given HSBC’s fondness for the Panama connection, 1998-2009 at least, I can’t help wondering if there will be a Panama Leaks series soon, and a repeat appearance by Stuart Gulliver before the TSC. I’m pretty sure that even he will have heard of Mossack Fonseca, by then. …my tip to the fraudsters: you can’t trust the Panamanian lawyers that you are dealing with. They are scamming you. If they get into trouble, they will turn you in. Back in the smaller world of New Zealand FSPs, it’s over to MBIE and FMA to figure out what, if anything, needs to be done about Breder Suasso. There might be another wee reputation problem coming round the corner. And now, it’s eyes down for #Panamapapers: for that, follow @icijorg and @occrp on Twitter. Overview from Süddeutsche Zeitung. The leaks have got a lot bigger: it’s 40 years worth of Mossack Fonseca documents. Imagine my delighted surprise in finding this appropriate article on NC at the very moment that I need it. Mysterious phone calls and ‘Shell Companies.’ The world is stranger than we suspect. Keep turning over those rocks; the world is starting to notice. Thanks. I just noticed an article about Mossack Fonesca on Yahoo “News.” The heat is on! Yes, HT to Richard and the many investigative journalist…the blood-sweat yrs are paying off. the HOW has been cashed in and the roaches won’t find crevice to hide. this is going to be yuuuuuge. hopefully, a lot of scum will be purged. By whom? Remember the Bailouts? Americans sent CONgress Members right back into office after doing it, then, by unanimous voice vote, CONgress watered down insider trading laws for them and their staff. Take note of Nevada and Wyoming as for filing shells here. On the 31st of March, following an article in NC on the silence of the MSM about Unaoil, I checked some major European newspapers about the affair. Nothing. It is still the case: neither Le Monde, nor the FAZ, NZZ, Corriere della sera or El País mention the Unaoil scandal; not a word about it whatsoever in the archive (with one two year-old, negligible exception). Thus, the systemic corporate and governmental bribery brought to light by the Unaoil investigation does not seem to exist for the MSM. On the other hand, the Panama Papers are front-page items on all those publications — with an obvious emphasis on tax evasion by prominent football players, money laundering by Putin and the entourage of Hugo Chavez, and renewed indignation about tax havens and offshore companies. Somehow, it looks as if smearing individuals (especially such despised bogeymen as Vladimir Putin or Michel Platini) is all right, but denouncing corporations is taboo. Interesting; no U.S. citizens named; just foreigners so far. Perhaps “they” hired some freelancers for the “deniability”-part of the “Make Putin Look Bad(er)”-job and then those hackers just went and grabbed *everything* – it’s easier anyway? The collateral damage from this cache hitting the internet (and the cover-up’s) could be well worth watching … PopCorn! Putin cheating in tax? Meh! *Everybody* in Club 1% are!! We can only hope that Putin has a PO Box Corporation in Grand Cayman and then the press or CIA will get curious about what those are for??? We may even finally catch Castro. Ya never know. Personally, I’ve been wondering where Castro ranks on the Forbes 400 list for years now. Also too, 48% of Americans don’t pay taxes! This could be why?? Although much of the press has been focusing on Putin’s alleged connection to the Mossack Fonseca leak, his name does not appear in the information reported so far. And, I don’t believe Suddeutsche Zietung or ICIJ is holding back Putin’s name. The ICIJ is part of an organization sponsored by American foundations such as the Ford Foundation and others who support American Empire and would certainly want to damage Putin’s reputation as much as possible. with a shout out and link to NC’s posts on Mossack Fonseca. That”s the feeling I got. No Americans? Bad mouthing Putin. Although this seems credible it just dosen’t seem right. I smell an agenda by our trustworthy government. Remember “Putin’s Missile” that the MSM was telling us about before the Dutch airliner that our Ukrainian Nazi allies shot down hit the ground? I could say the MSM and the Overlords are joined at the hip, but that would be inaccurate because they are one and the same. The Panama Papers caper has all the earmarks of a disinformation campaign. But our Guardians have a half century of orchestrating such events. Remember Kermit Roosevelt’s Coup in Iran, 1953? Mossack Fonseca had a strict policy of never dealing with any American company like Apple or Bain Capital that needed its services to launder money and hide it from taxation. Or all companies not on the official Enemies List were redacted from the data dump. Or the entire Panama Papers caper was a fabrication. Or American and European multinational companies always pay their full tax liability in the country of origin and never move profitability to take advantage of tax havens, and thus had no need of Mossack Fonseca or similar laundry services. If you believe the last statement you are fortunate indeed, as you can happily march over the cliff with all your fellow Exceptionals without a care. I’ll be surprised if anything positive comes of these leaks… I have yet to see any significant US connections…and if not forthcoming, then I can only assume all this is misdirection and propaganda to the benefit of western banksters, financiers, and politicos. Arbitrary rule makers are motivated by the opportunity to avoid the rules, and the majority views freedom as freedom from nature, a recipe for arbitrary government growth, of crystallized rule makers. Arbitrary RE inflation exists at cost to disposable income, rewarding the counterproductive behavior. Just so you know, global warming reduces human reproduction by suppressing triggers in the biorhythm entrainment system. Manipulating nature gets humans in trouble, doing the wrong thing at the wrong time, artificially increasing variability. By the time you see something, it’s way too late to anticipate it, and a late response only makes the problem, artificial variability, worse. If you are highly adaptive, now is the best time to breed. For the majority mired in empire, it’s the worst time. The study of psychology itself is a black hole. slippin thru the event horizon with a daisy chain of progeny, eh?? The State is confiscating 100% of our income now, on the irrational market theory, and chasing us down by eliminating cash. What could go wrong. It is unlikely that leaders of Russia and China are that careless to trust some foreign law firms with information that could be conveniently use to attack them, putting Russia and China’s stability vulnerable to US sabotage. Many know how computers could be hacked no matter how much security is in place or information just leaked intentionally or accidentally. @Hhh – The latest that I have seen is that the leak did not come from a hack, but rather from a former employee who had a relationship with a named partner of Mossack Fonseca. When she was rejected by the partner, she got her revenge by downloading and releasing the data. Wow, this may go down in history as the most effective act of jilted lover’s revenge evah. Pissed off people tell the truth. Frank Rich’s column on Judith Regan exposed the Giuliani-Murdoch money-go-round. She was Kerik’s lover, but was cut out of money and status. Nixon would never have resigned if Patrick Gray wasn’t furious about being passed over twice for FBI director. It seems to be part of our human condition, that what is meant as a mere slight escalates to full-fledged betrayal, when bubbly frisson erupts in volcanic rage. Please, server them up on TOAST. Of course NZ still does much to protect such entities. when I blew the whistle on the law firm which was entwined with many of these ” organisations’ I was promptly sued and silenced by the courts . I note that the very people I tried to expose are still at it. Until we stop shooting whistle blowers we are not going to make progress.